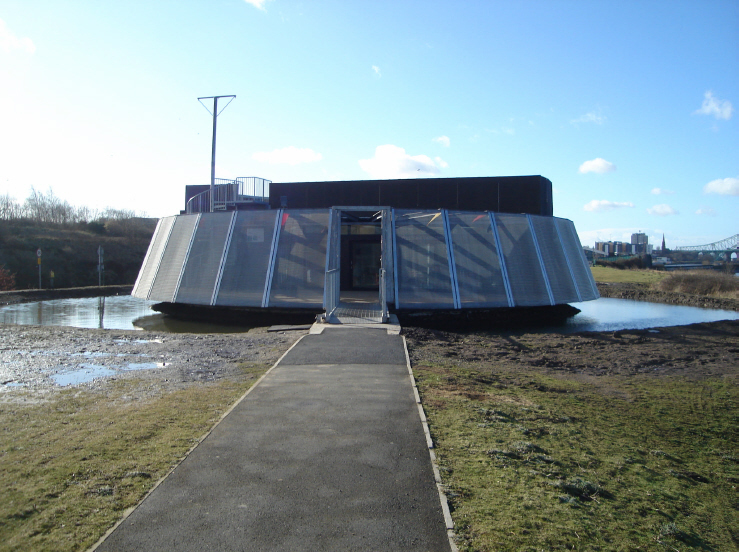 The new visitor's centre in Wigg island is loosely modelled on the type of fort which was built on Runcorn rock. Unfortunately the plaque telling visitors that the author of this article on Ethelfleda opened the centre in 2007, when he was Mayor, was stolen a few months ago!! On Wigg Island,now a conservation area lying between Runcorn and the River Mersey, there was a recent carving of Ethelfleda using Cheshire stone. 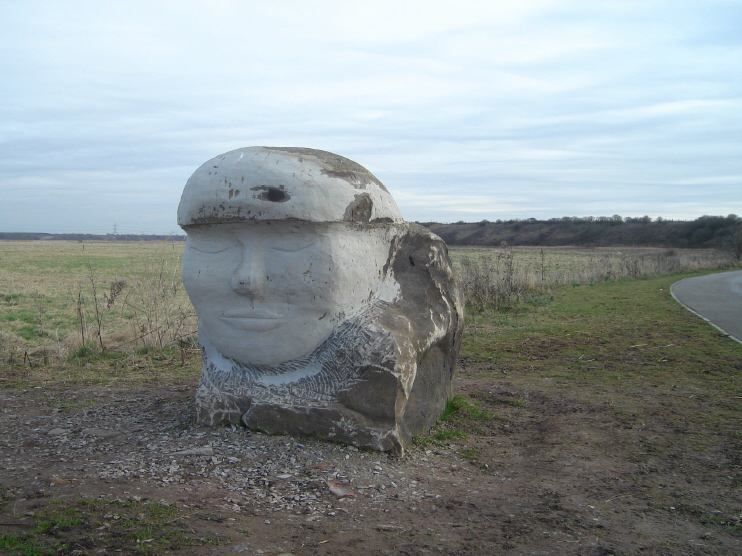 Ethelfleda is one of three stone carvings which were positioned adjacent to the old Runcorn to Latchford Canal. 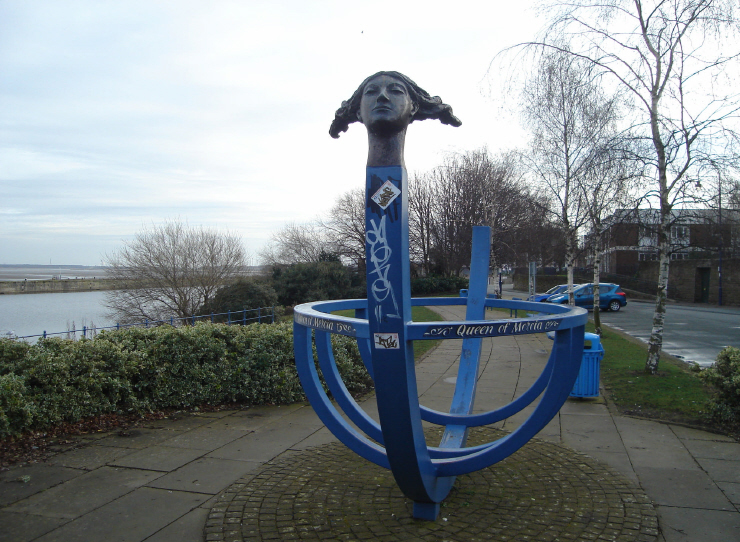 The aim of the artist was to depict the figures keeping a constant vigil on the River Mersey, looking out on the river. Because of the danger of damage to these carvings due to the construction of the new "MerseyGateway" bridge , they have all now been relocated to ground outside the Brindley Theatre in Runcorn.